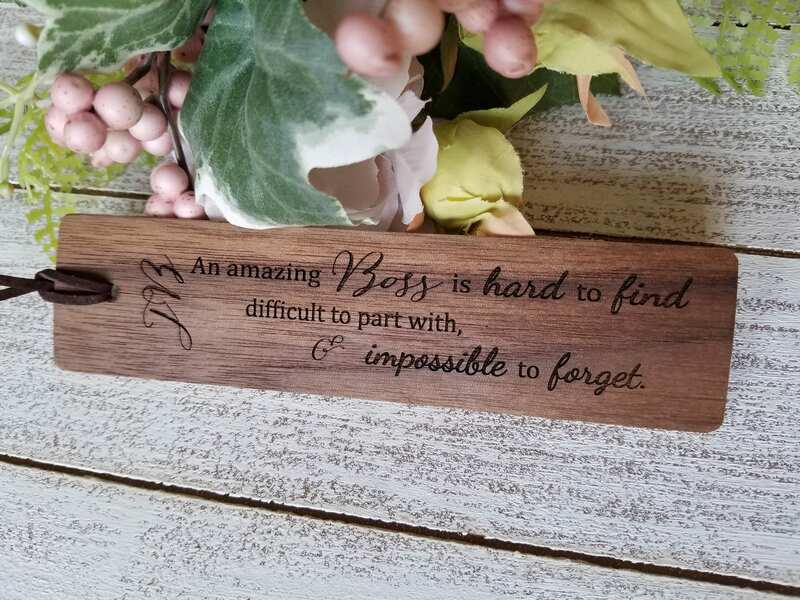 This beautiful bookmark will make a great gift for your special boss. Want something else engraved? Please let us know. Size: 6 x 1.5 inch. Lead time 1 business day.